In the recent holiday seasons students in the Saint Louis University Athletic Training Society (SLATS) has organized a toy and book drive to collect gifts for the children at Cardinal Glennon Children’s Hospital. Cardinal Glennon is a St. Louis area hospital that opened its doors in 1956 to children in need of medical care. Cardinal Glennon is a part of the SSM Health. SSM and the SLU Athletic Training Program enjoy a wonderful relationship ever since the beginning of our program. 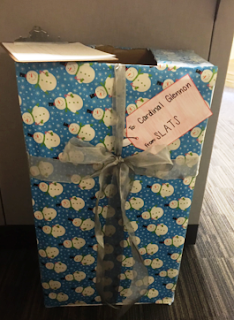 Each year SLATS puts on a holiday toy and book drive to put a smile on the kids faces, and show how thankful our community is for the hospital that helps them. This was one of our best years yet. 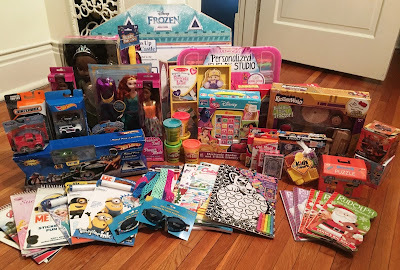 We collected an assortment of 50+ boys and girls toys. This year our winners with the most donations were, Sarah Haenchen in first place, and Bridget Bushong and Emily Mott in a tie for second place. As always SLATS appreciates and thanks all of our donors. We are looking forward to another successful toy and book drive next year!